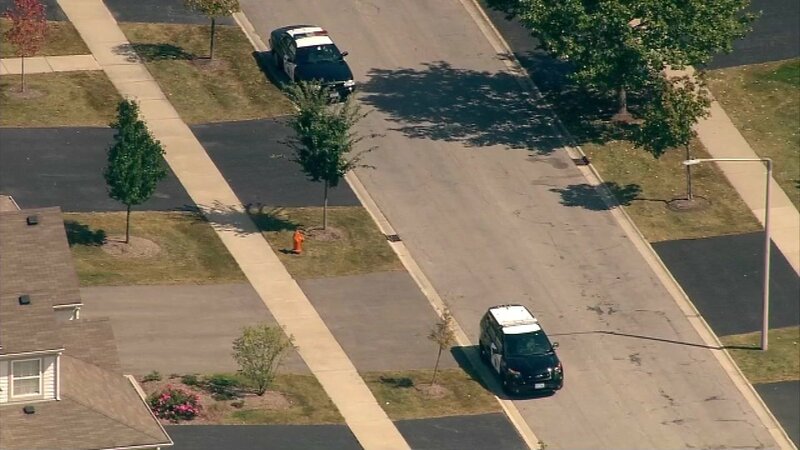 NAPERVILLE, Ill. (WLS) -- Neuqua Valley High School in southwest suburban Naperville was secured as a precaution Monday morning as police searched a nearby neighborhood for a man who may have been armed. Officers were searching for the man in connection with the investigation of a home invasion and domestic violence incident, police said around 11:30 a.m. Investigators searched the area of White Thorn Court, which is south of 87th Street and east of Route 59. Police only released a vague description of the man they were looking for. They were searching the area for a black man in his 30s, who may have been armed with a handgun. He was last seen driving a maroon Nissan Murano. The man was taken into custody by police in west suburban Villa Park, police said around 2 p.m.
School officials said on Neuqua's website just before noon there was no current threat to students. They were safe and secure, and the school day proceeded normally. The only exception was no one was allowed in or out of the school building. After about an hour, officials said police determined there was no further need to secure the building. People were allowed to enter and exit the school normally. Police did not release any further details.